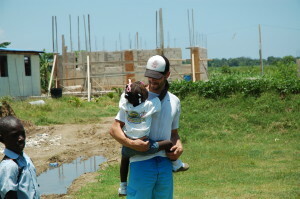 For those who were not aware i was given the amazing opportunity to go on Shelterwoods mission trip to Haiti. We left may 10th at 4am in the morning, caught a 7:10am flight to Chicago, and a few layovers later we were in Port-a-prince Haiti. As we walked from the airport to our bus we were swarmed by locals trying to earn money by carrying our bags for us. This overwhelmed one of the kids who struggles with anxiety, so when i noticed him shaking i placed my hand on his back and asked if i could pray for him while we walked. It was a 2 hour drive from the airport to our hotel which was surrounded by a 20 foot tall wall with barbed wire and armed guards, funny thing was that we only traveled 7 miles. We spend the next three days traveling to 5 different orphanages to play, and love on the orphans there. James 1:27 says “Religion that God our Father accepts as pure and faultless is this: to look after orphans and widows in their distress and to keep oneself from being polluted by the world.” It was really amazing to see our shelterwood kids love on and play with the orphans. But even more amazing was to see the impact that the orphans had on our shelterwood kids. One of the coolest stories for me was a kid we will call “Ben”. Ben had come to shelterwood a week before me so i have known him my whole stay here. He started off very well behaved and claimed there was no reason for him to be here, and it was hard to not agree with him. 3 months into the program he started to show his darker side. One day he blew up and cussed out one of the upper staff of shelterwood. One of the stipulations of him earning back his privileges was that he had to apologize to that staff member. He refused. After a few days later i sat him down and tried to logically walk him though what was going on. It took Ben over a week to conjure up even a halfhearted apology, but he did it. And 5 months later during our devotional time were talking about what we feel like Gods plan is for our lives and he is talking about how he wants to go into business and work with non profit organizations in third world countries and help them get micro finance loan programs set up so that “we can teach poor people how to fish instead of just feeding them”. He wants to establish self sustaining orphanages that don’t rely on donations. 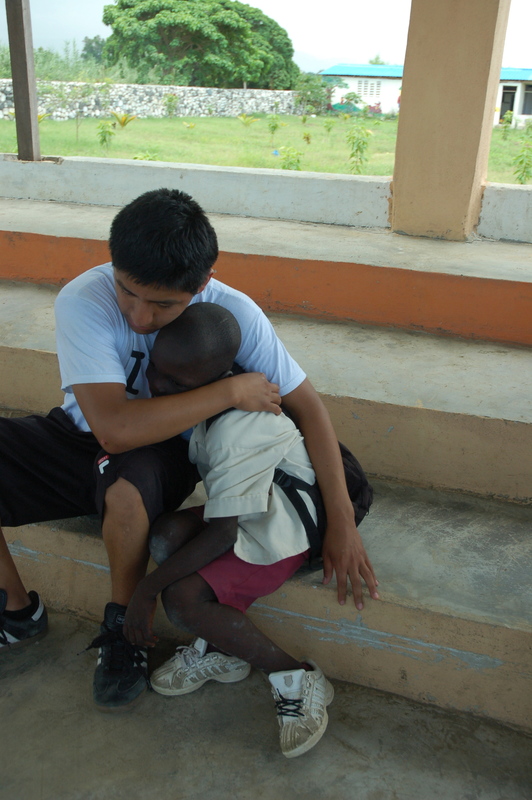 Ben was an orphan himself, and he was adopted from central america when he was two. The lack of interaction and physical touch he received in his orphanage is most likely the cause of the oppositional defiance disorder that caused him to be send to shelterwood. Because he went to shelterwood he was given this opportunity to go and love orphans like himself. Ben made my entire trip. I would have flown the entire way down and back just to have seen him play with the orphans, it was a beautiful depiction of Gods grace and redemption. Wow, I have been back from Haiti for over a week now, and honestly its taken me this whole time to get re-adjusted. This was surprising for me, i thought that since iv been on much longer and more intense trips that this one would not impact me, but i was so very mistaken. Turns out poverty and suffering never gets old, and never fails to change those who are witness to it. I struggled being back for two reasons. 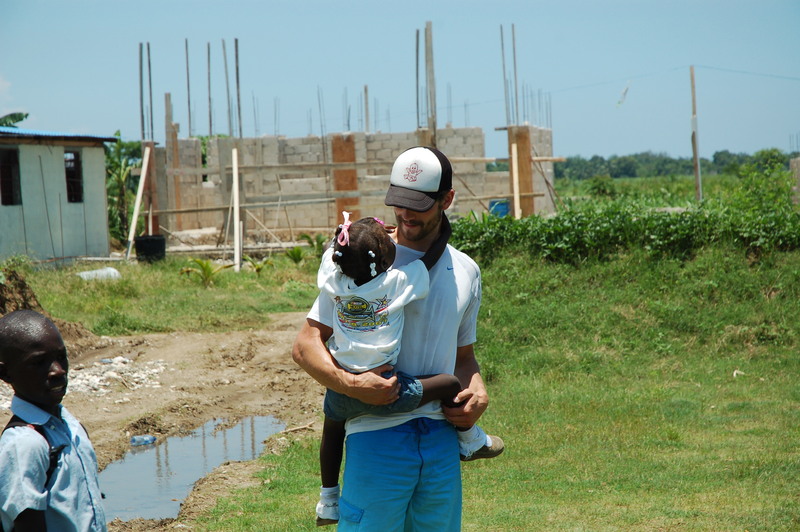 First of all serving in Haiti was so easy and so simple. We would wake up in the morning and pray and get on a bus and love kids all day. At shelterwood we have meetings, and incident reports and daily reports and then more meetings. Second was the kids. 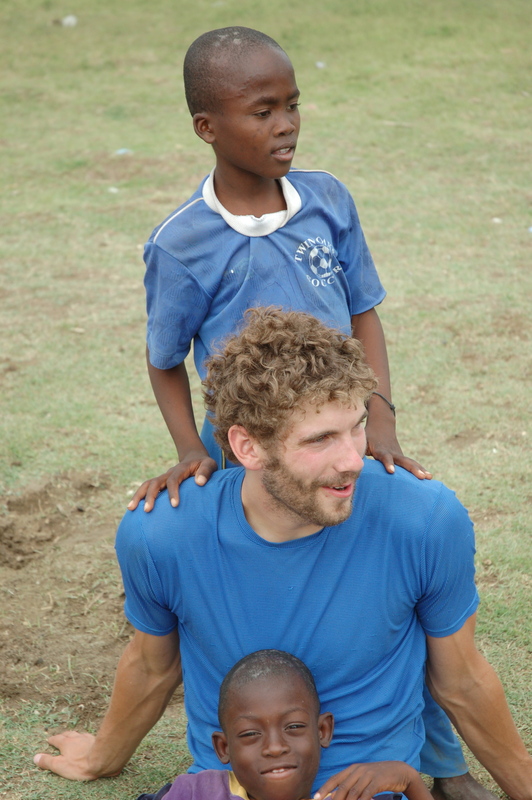 In Haiti, the orphans were so happy just to play with you and where so grateful for every meal. This was juxtaposed by a never ending stream of complaints and whining about “this food looks gross”, “why can’t i do this”, “You guys never let us do anything”. I about blew up a couple times. All i could think about was how hard it was to serve and love and spoiled, entitled, overfed, over privileged youth of america and how easy it was to love the orphans of Haiti. One night while venting to my girlfriend Courtney, she pointed out that the kids we work with at shelterwood are the ones that are poor. They may have all the money in the world but their souls are so poor and they need the love the Christ just as much, if not more than the orphans of Haiti. This was a great reminder and much needed change in perspective. Thank you so much to everyone who helped financially support me so i could go on this trip. I have been at Shelterwood 9 months now and my life feels like a blur. Things are moving and changing so quickly its hard to keep up and process, or even explain how i feel because i don’t think i am even fully aware sometimes. God is really calling me to trust him fully with my future. I miss Colorado and all my friend but i know that this is where God has me for now. I can’t remember if i mentioned this any of my older posts, but i am planning on staying another year at shelterwood as an intern, with my specialty being outdoor activities. And Courtney is also staying another year as the girls house “DC” (direct care) which means she is the point person 4 nights a week.